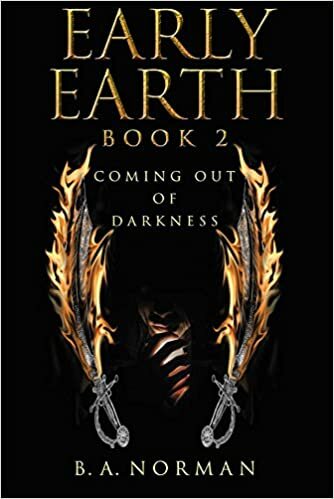 * Early Earth Educators: RSR has been eager to discuss the origin of mankind with Brian and Virginia Norman, the educators with degrees in geology and theology who formed the Early Earth Educators creation outreached. Bob and the Normans discuss genetics and the Bible's teaching that all nations have descended from one blood in contrast with the racism inherent in Charles Darwin's worldview. With race-based turmoil fomenting in America, and after Covenant Media's Matt and Mercy Hasselblad described the overt Hinduism-based racism in India's cities and then recommended EEE, RSR's producer Larry Wolfe arranged this interview with the Normans. Brian and Viriginia also discuss rsr.org/canaan, rsr.org/flood, and Brian's novel "Early Earth Book 2" which Bob Enyart's son Michael is enjoying reading right now. * Triple EEE on Facebook: Please Follow and Like Early Earth Educators on Facebook! * Welcome to Real Science Radio: Hosts Bob Enyart and Fred Williams discuss science to debunk evolution and to show the evidence for our creator God including from biology, geology, astronomy, and physics. (For example, mutations will give you bad legs long before you'd get good wings.) Not only do we get to debate Darwinists and atheists like Lawrence Krauss, AronRa, and Eugenie Scott, and easily take potshots from popular evolutionists like PZ Myers, Phil Plait, and Jerry Coyne, but we also occasionally interview the outstanding scientists who dare to challenge today's accepted creed that nothing created everything. * July 14, 2015 Telethon Update: Thank you to everyone who has given toward our vital $30,000 telethon goal: we're now at $9,250! Please help if you can by clicking here to make a one-time donation, or to browse our store and make a purchase, or by signing up for a monthly donation, or by subscribing to one of our video or audio Bible-based monthly subscription services!